I love baking cookies during the holidays. These peanut butter cup cookies are the perfect combination of chocolate and peanut butter. They are great for holiday or Christmas cookie exchanges! Preheat oven to 375 degrees. Cream together sugar, butter, peanut butter, and brown sugar until light and fluffy. Add egg and vanilla. Beat in flour, salt, and baking soda, mixing well. Shape cookie dough into 1 inch balls and place them in a mini muffin pan. Bake for 8 minutes. 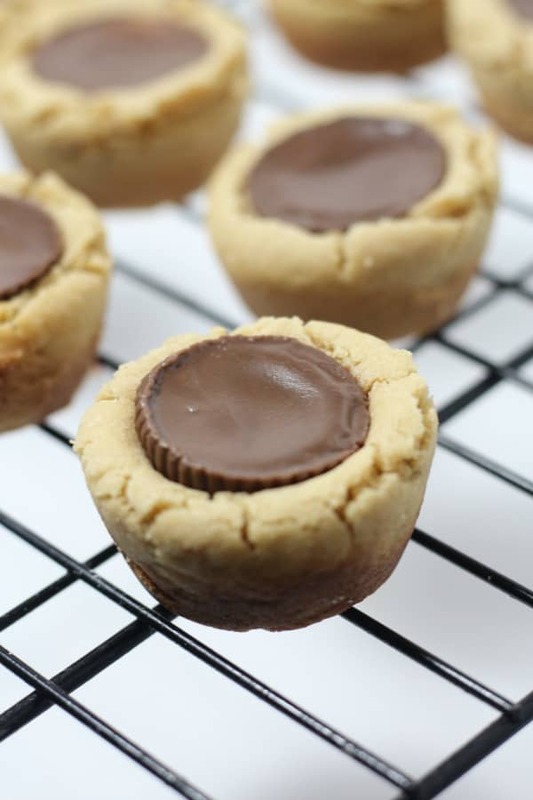 Remove from oven and then immediately press an unwrapped mini Reese’s peanut butter cup into each cookie. Don’t try to move the cookies out of the pan until they have cooled a bit. The cookies will get firmer as they cool, and the peanut butter cups will re-harden. If you try to move them too soon they will fall apart and the chocolate will spill out the sides. These cookies can be frozen for a month or two ahead of time before you are ready to eat them or give them away. Like this recipe? You might also like these chocolate covered cherry cookies and Kris Kringle cookies. 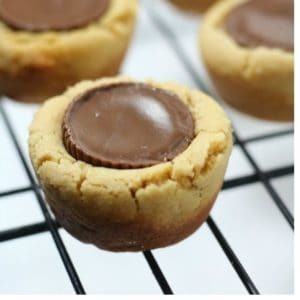 1 Comment on "Peanut Butter Cup Cookies"
Next Next post: How Much Headspace?